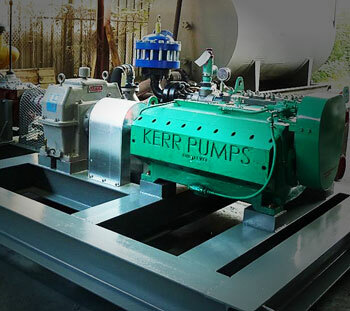 Kerr Pumps Corporation was founded in 1946 to supply the thriving oil & gas industry with dependable, high-performance pumps. In 1996, the product line was diversified to include models and options for a wide array of industrial applications. Kerr Pump used on one of our custom-built pumping units. Kerr parts are specifically manufactured to fit specific pumps.